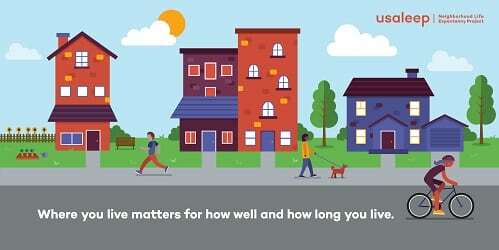 Using interactive data from RWJF, users are able to look up the life expectancy estimate for their neighborhood and see how life expectancy in America compares. The site also provides resources that can help you work with others in your community to provide opportunities so everyone has the ability to live a long, healthy life. >> Read more, and explore the data. >> Click here to view a toolkit with resources to promote the launch of the toolkit with your networks.